It’s no secret that prior to ESPN’s reorganization in the wake of John Skipper’s surprise departure, the network’s relationship with the NFL was rocky at best. The league had let Fox work with NFL Network to simulcast draft coverage, and even made noise about handing ESPN’s wild card playoff game to Fox as well, while Skipper was apparently less than enthusiastic about extending the Monday Night Football contract. The difference in ESPN’s stance under new president Jimmy Pitaro has been striking, but it isn’t really a surprise. As soon as Pitaro was named to the job, we learned about how he planned to work on repairing ESPN’s relationship with the NFL, and after less than a year on the job, we’re seeing elements of that strategy fall into place. First ESPN and Disney built a supplemental NFL Draft show for ABC centered around ESPN’s college footbal crew, which replaces the Fox-NFL Network version. Then ESPN went all out on the Pro Bowl, giving the league a sort of mini-Megacast treatment across four networks. And now, according to a deep dive from The Ringer’s Bryan Curtis, ABC is also going to air two hours of NFL Combine coverage on Saturday, March 2nd. 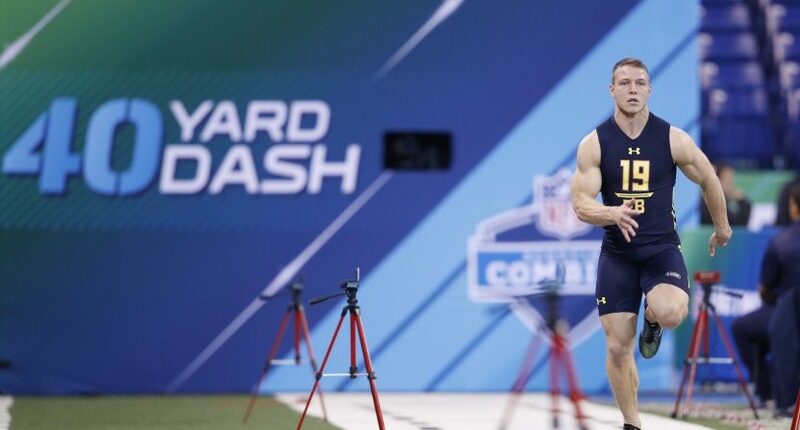 This week, ESPN plans to announce that ABC will also carry two hours of the NFL scouting combine—giving a happily nerdy NFL Network event a boost onto network TV. A slot on broadcast TV is an unlikely milestone for the combine. The only reason it’s on TV at all is the creative desperation of the NFL Network. From its founding in 2003, the NFL Network wanted to find ways to report on and advertise the league without the benefit of airing regular-season games. So the network leaned into a process called “eventizing”: taking content that isn’t a game and producing and selling it as if it was. Much of the story centers around ESPN’s recently promoted Burke Magnus describing just how solid the ESPN-NFL relationship is now, describing a “reset” and heralding a new start. As to the Combine coverage itself, it will apparently center around quarterback and receiver drills, be hosted by Trey Wingo, and probably be pretty typical Combine stuff; slightly interesting if you’re a diehard college football and/or NFL fan, acceptable, low-intensity background noise if you’re not. For ESPN, it’s clearly a small piece to a bigger puzzle, one they seem to think they’re very close to solving.